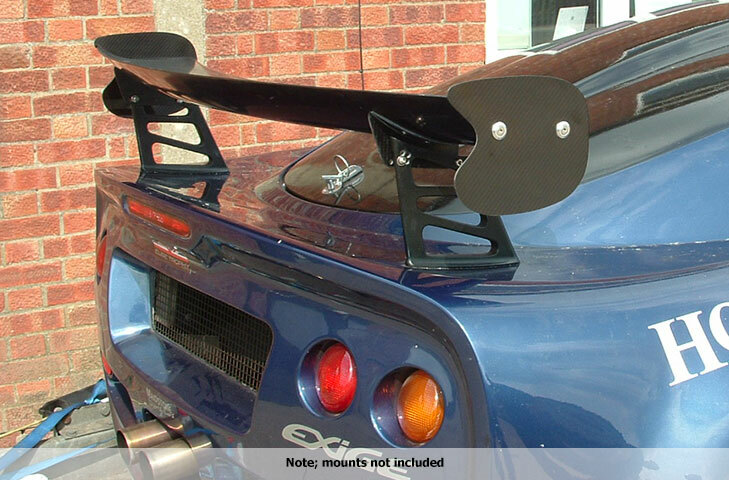 Lightweight and extremely rigid high downforce Carbon Fibre rear wing designed by aerodynamics writer and designer Simon McBeath that can fit a range of different cars. Adjustable clam/boot/roof mounted allowing you to fine tune the AoA. Supplied with end plate fixing inserts, carbon fibre end plates and four alloy tapped mount insert blocks. When ordering, please specify the require wing span (1000mm - 1800mm) and distance between the drop mount tabs. Alternatively, we can supply the drop mount tabs for you to fit yourself, please contact us first before ordering.